Discussion in 'General Discussions and Lounge' started by AF-Roger, Nov 1, 2015. 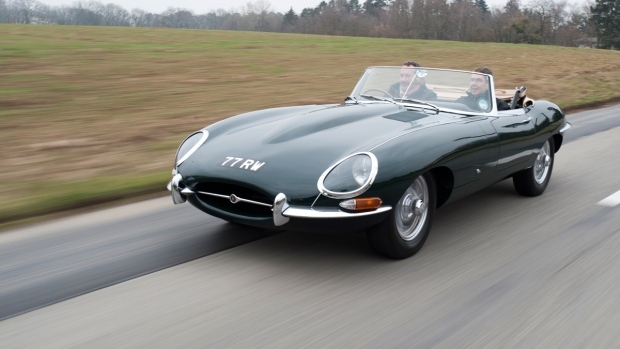 The ballots have been cast and the voting is closed and according to a global poll of automotive aficionados, Jaguar's iconic car, whether in coupé or convertible form -- despite being over 50 years old -- is officially the best ever to come from the U.K. Collecting the award on Friday, John Edwards, Managing Director, Jaguar Land Rover Special Operations, said: "This a fantastic accolade for one of Jaguar's most recognizable models ever built. The fact that it has captured the most votes in a global public vote is a testament to its status as one of the world's most iconic sportscars and now, officially, as the Best British Car Ever." The poll, held to settle automotive arguments, has been running for six months in 66 countries where Classic & Sports Car -- the world's most popular classic car magazine -- is published, and featured a shortlist drawn up by a panel of some of the industry's most respected names, including legendary designer Gordon Murray. Loved these cars back in the day. My brother had a couple of them in the late 60's and early 70's. We swapped occasionally, I was driving muscle cars mostly at the time. Drove an F-Type Coupe a few months back and I have to say it was SWEEEEEET!